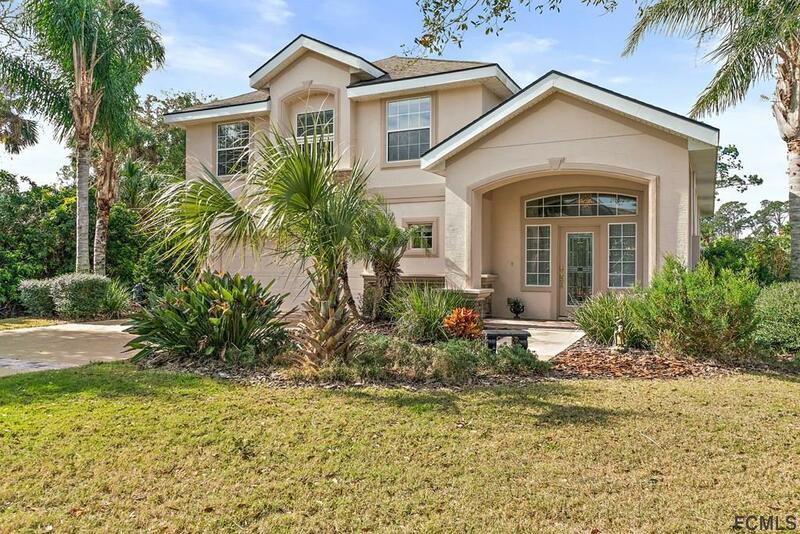 Lovely lush landscaping with great curb appeal that you'll have to see to appreciate. 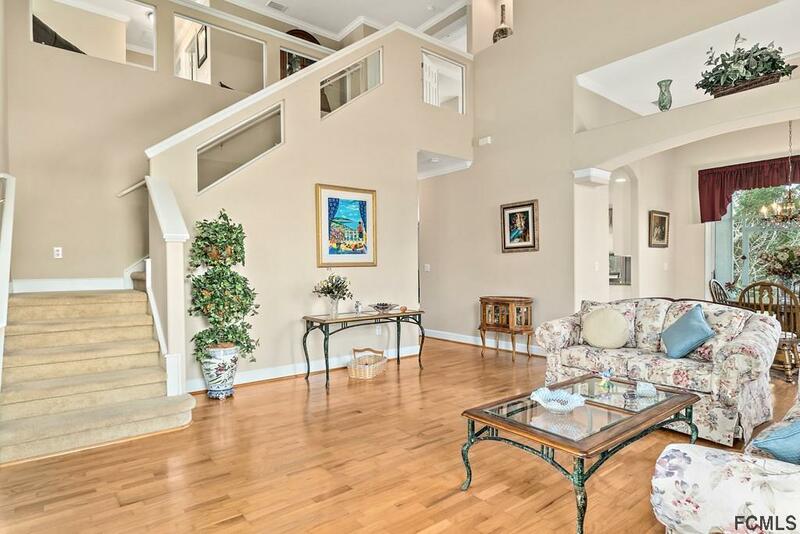 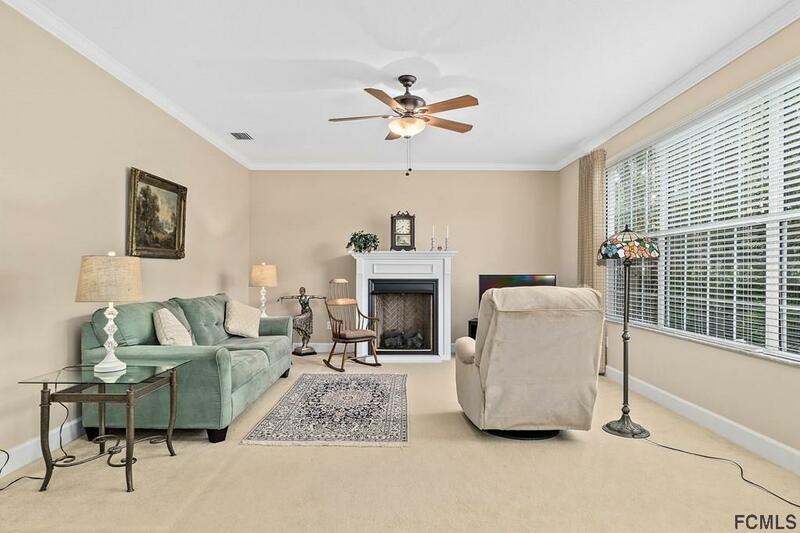 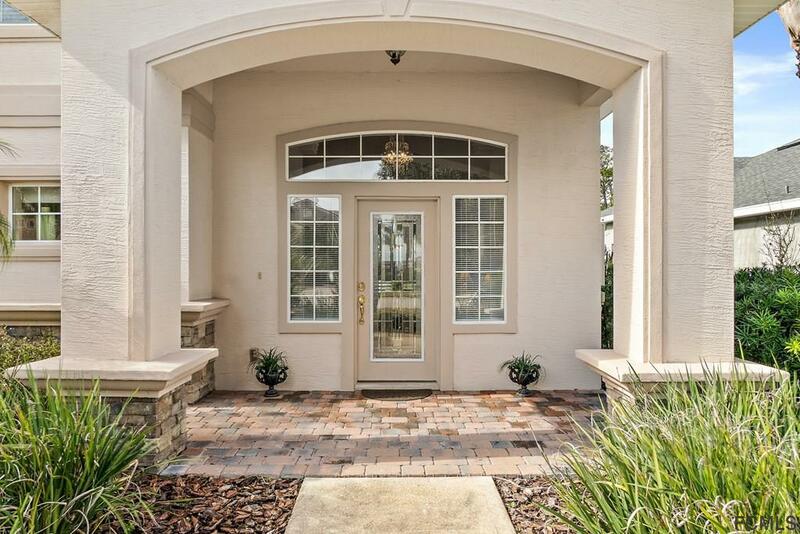 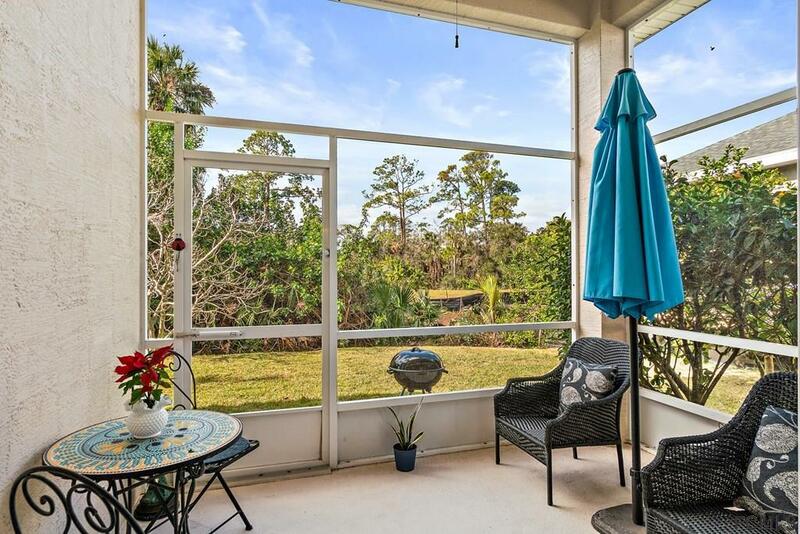 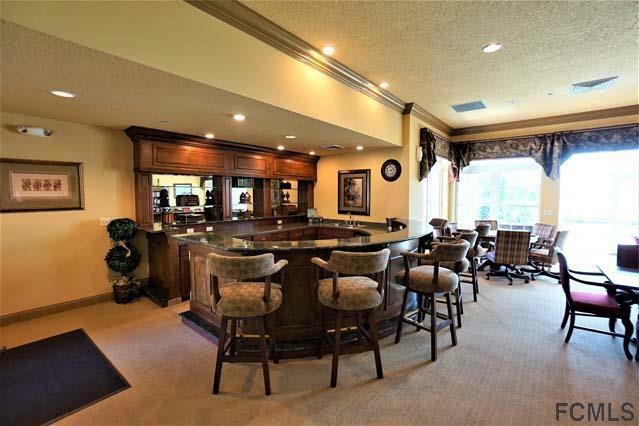 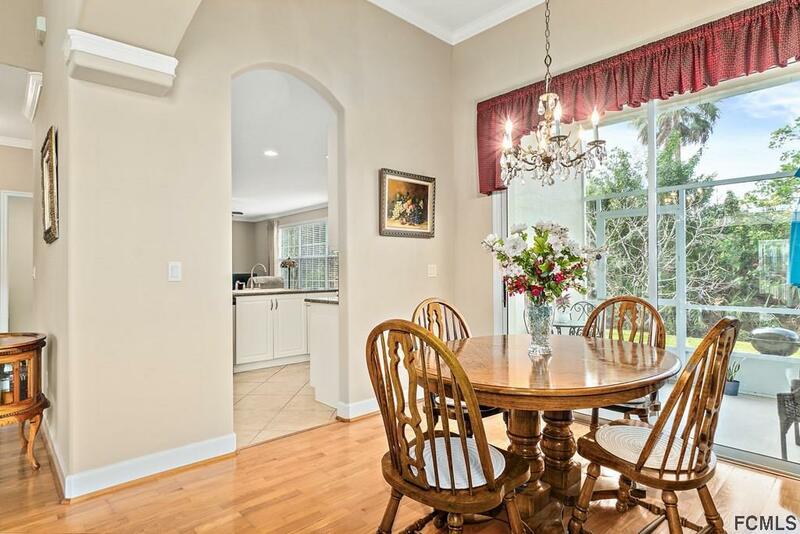 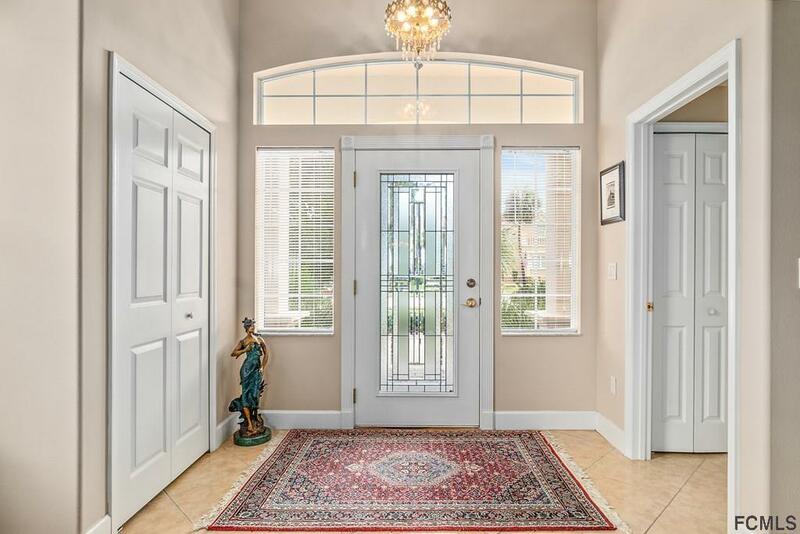 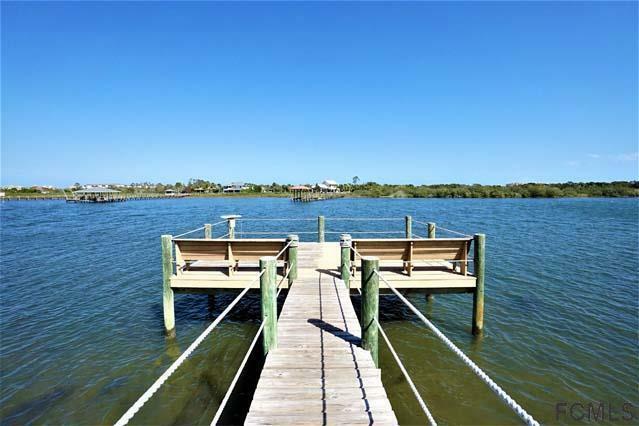 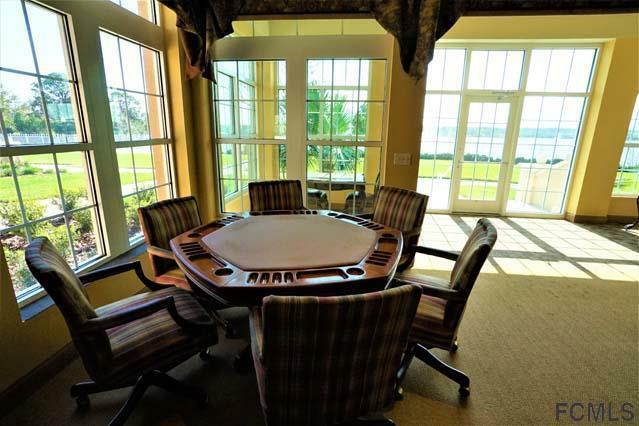 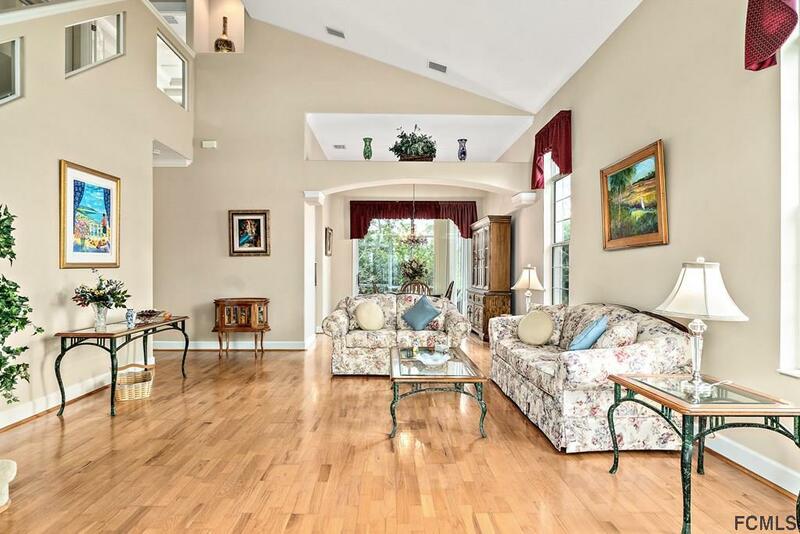 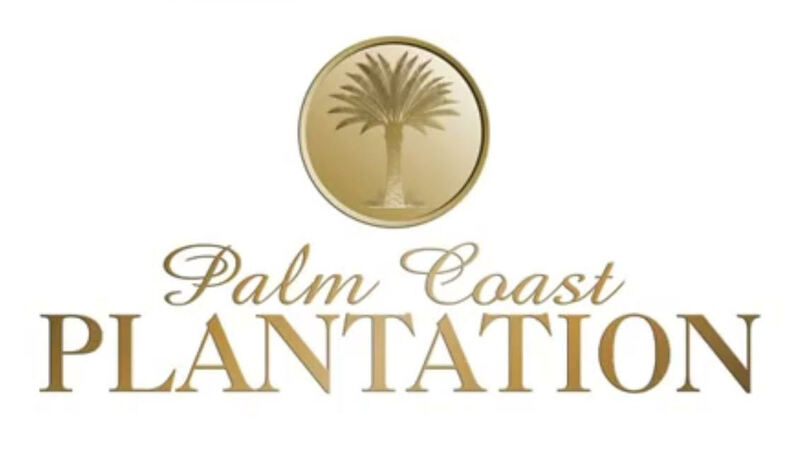 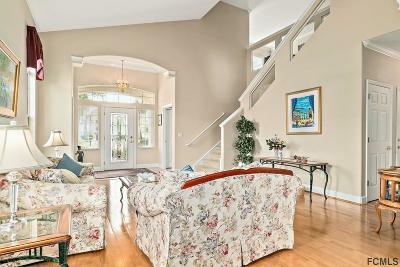 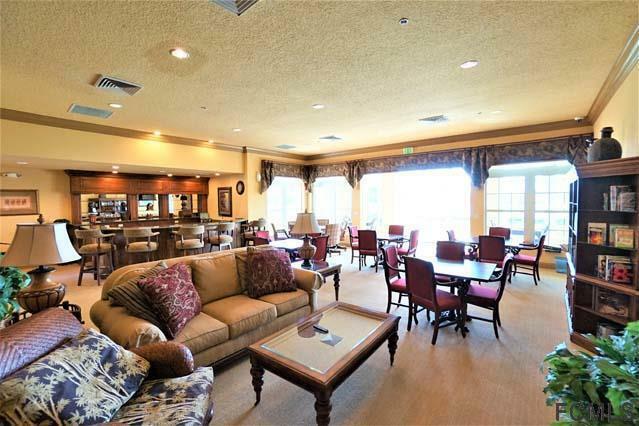 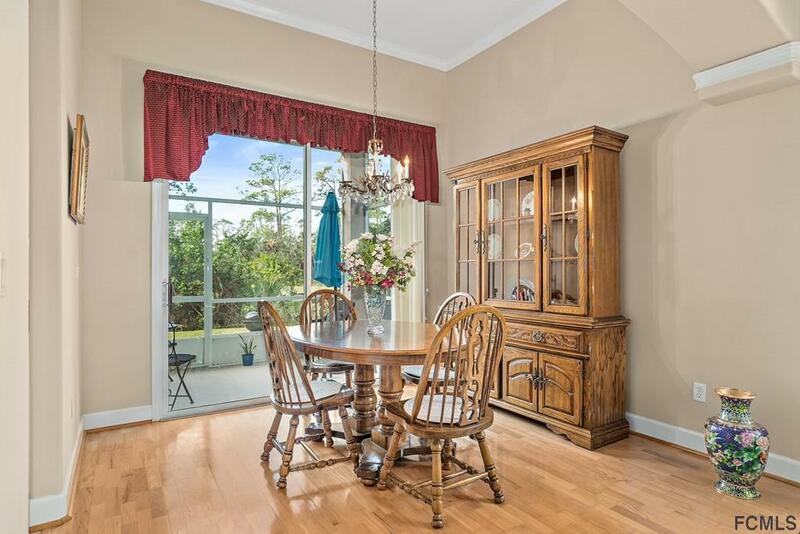 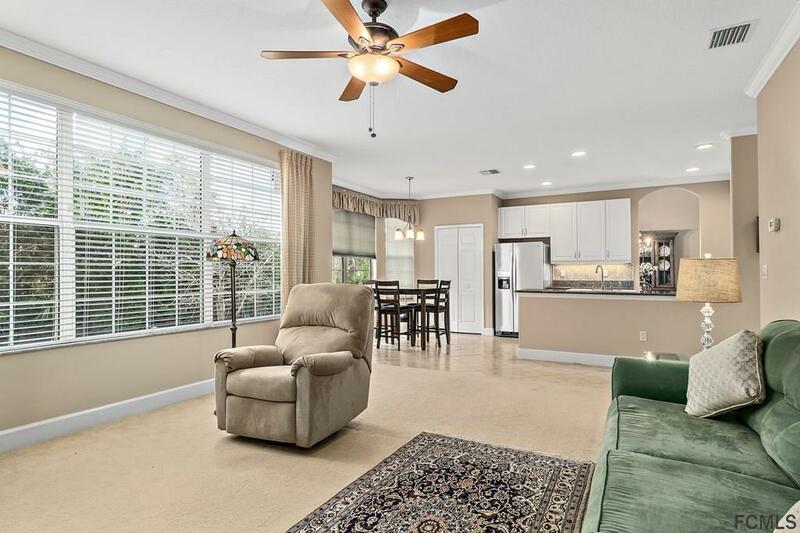 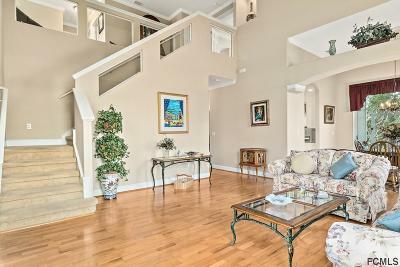 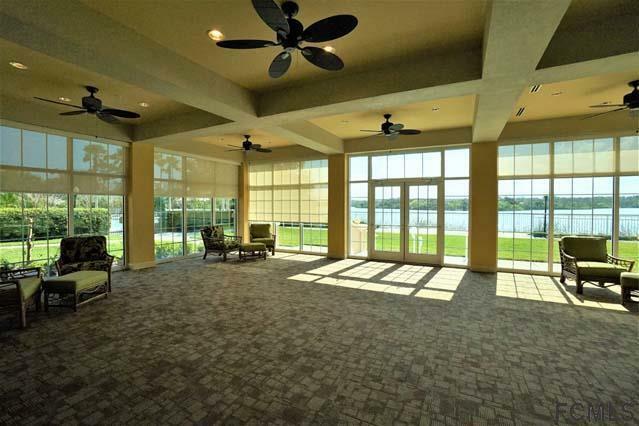 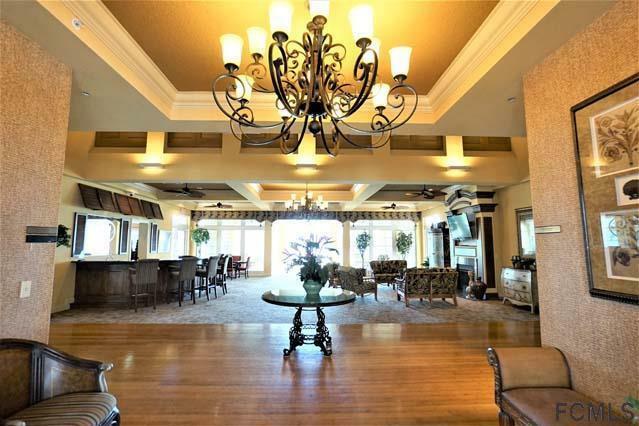 PRISTINE 3 Bedroom 2.5 bath home located in the gated waterfront community of Palm Coast Plantation. 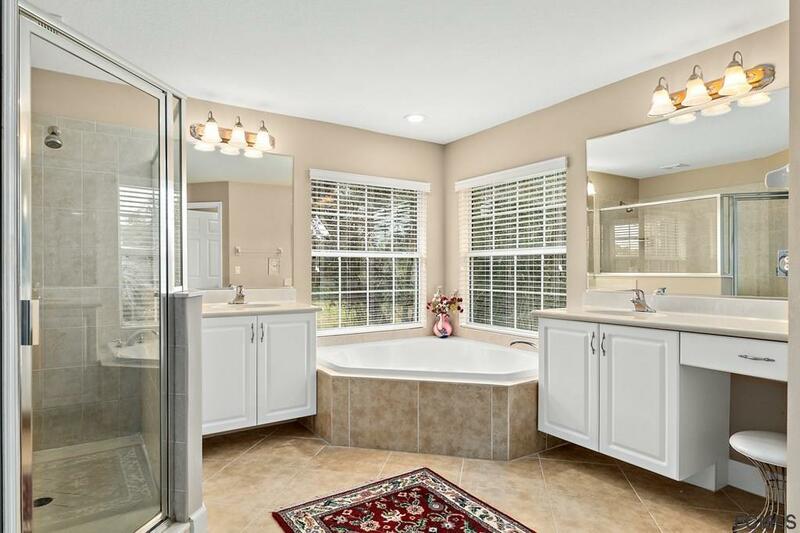 Dual A/C Units for maximize efficiency. 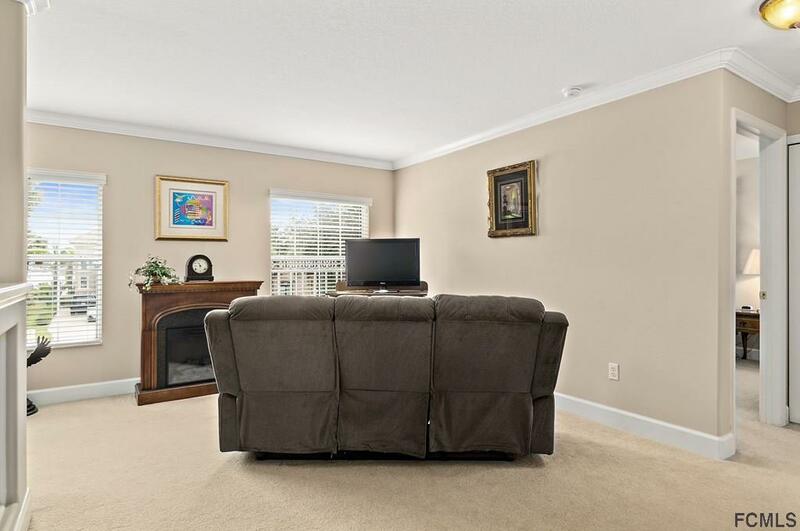 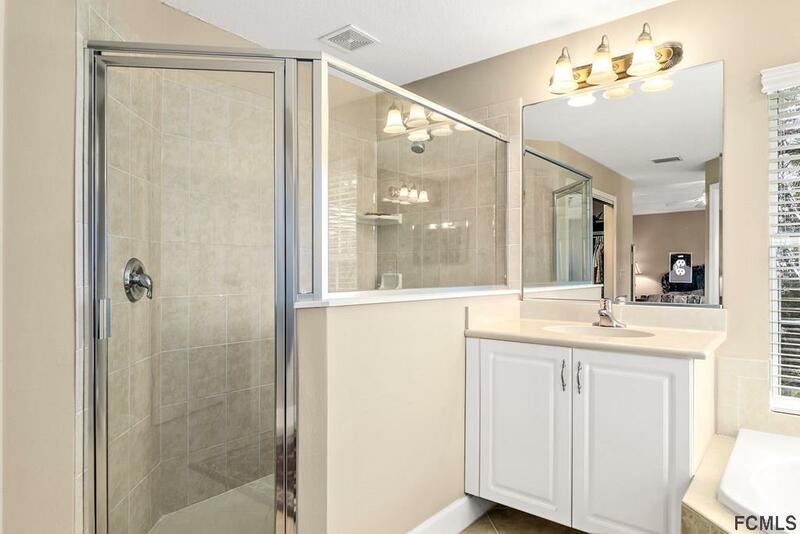 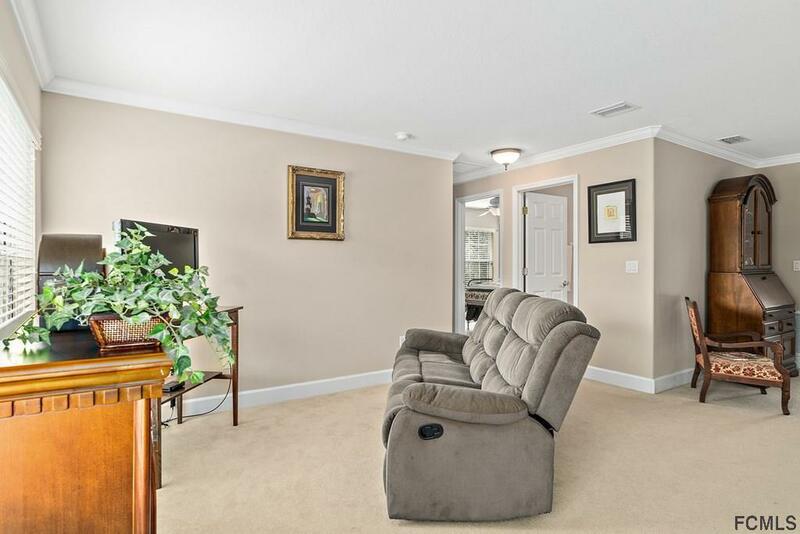 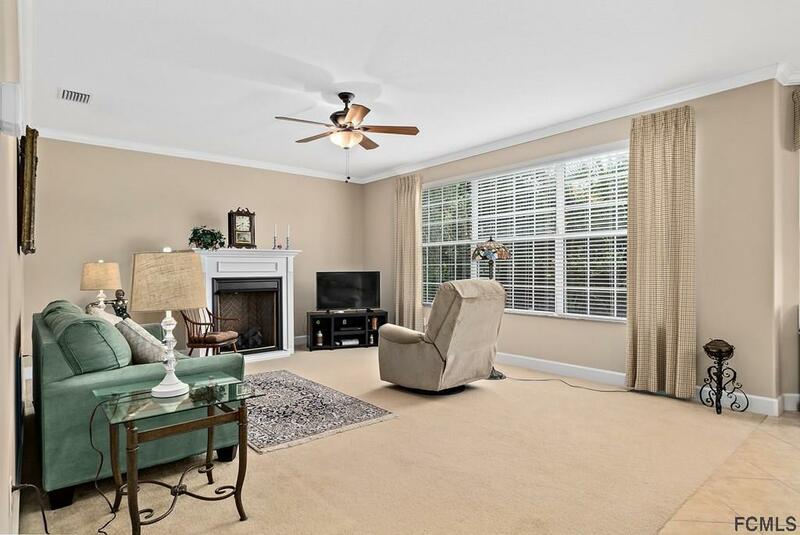 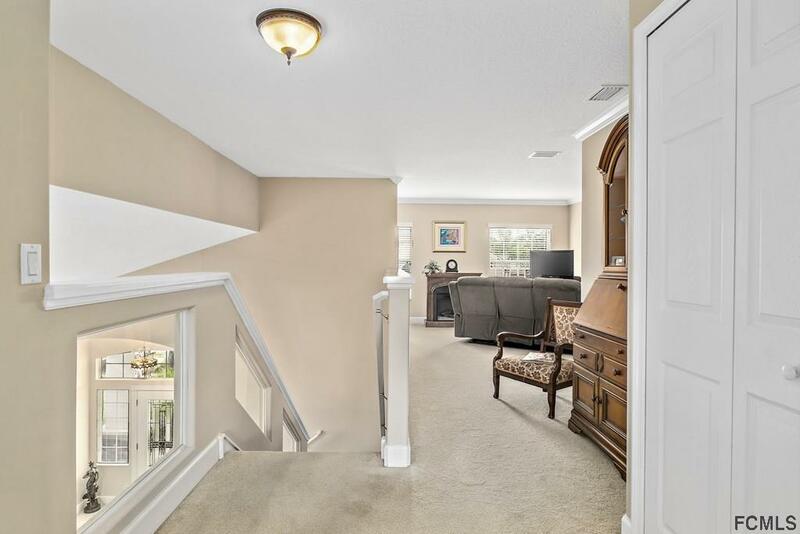 Upgrades galore throughout the home, crown molding, vaulted ceilings, wood flooring and tile in wet areas. 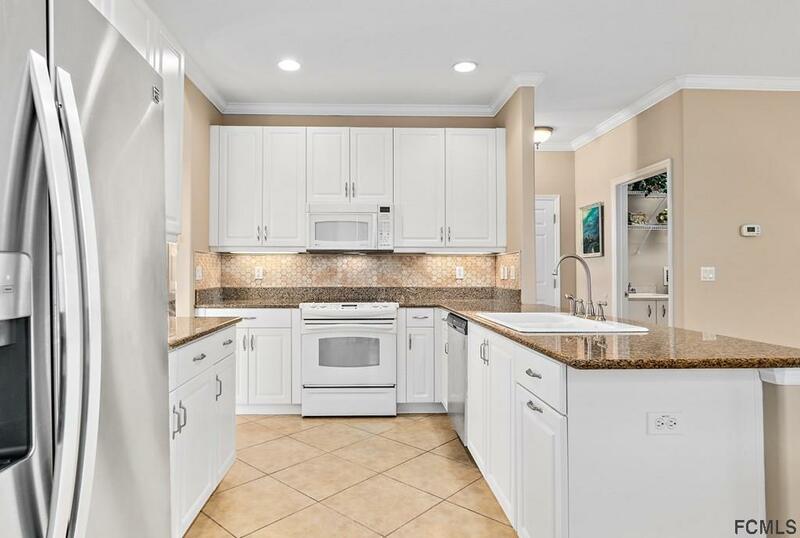 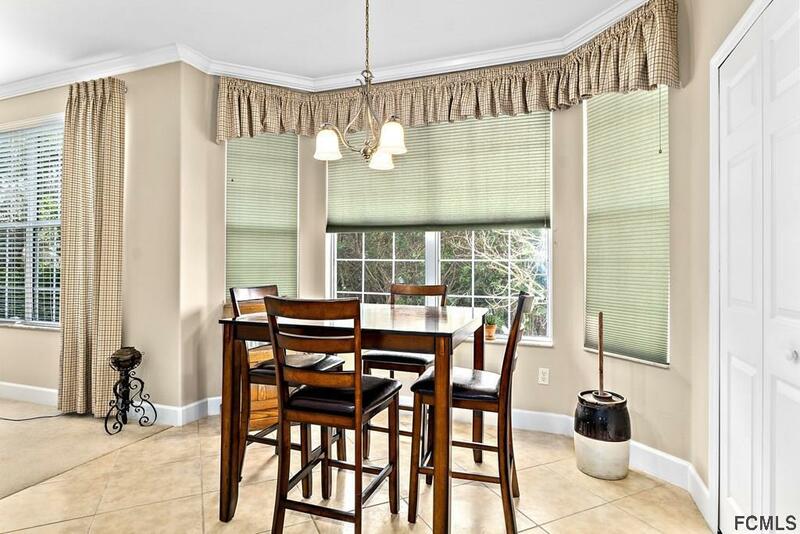 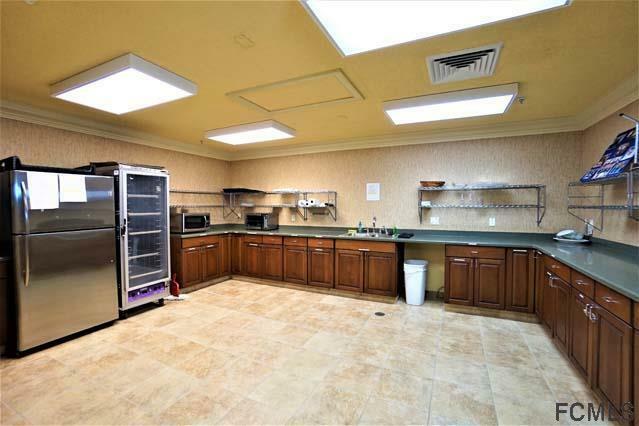 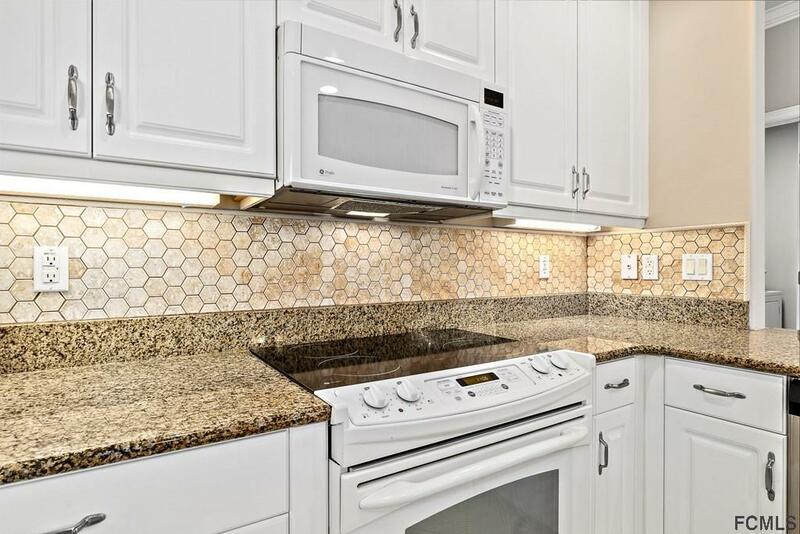 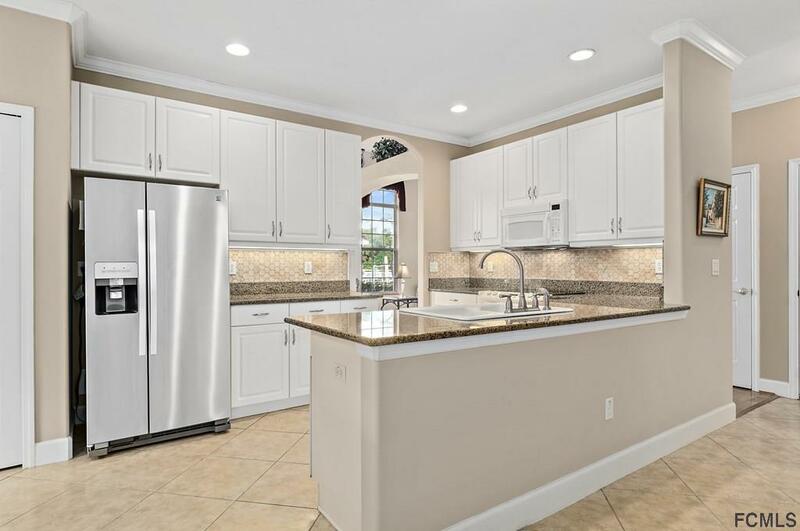 The kitchen features granite countertops, upgraded white cabinets and breakfast nook. 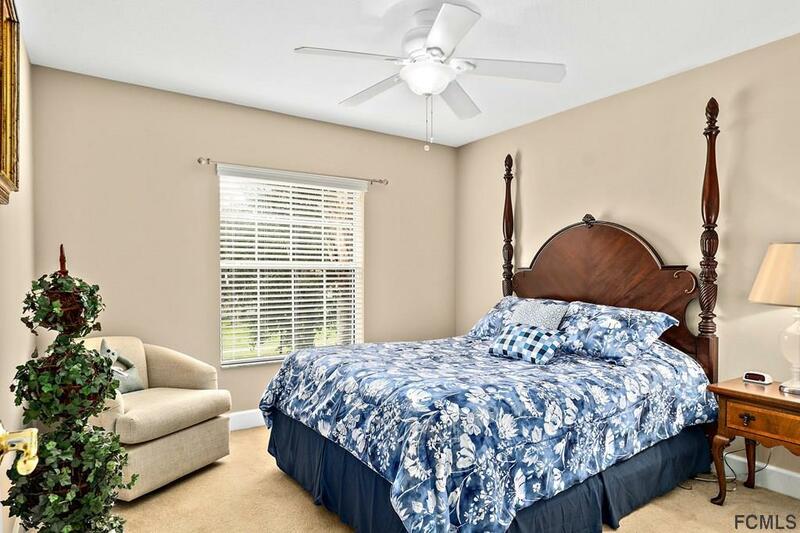 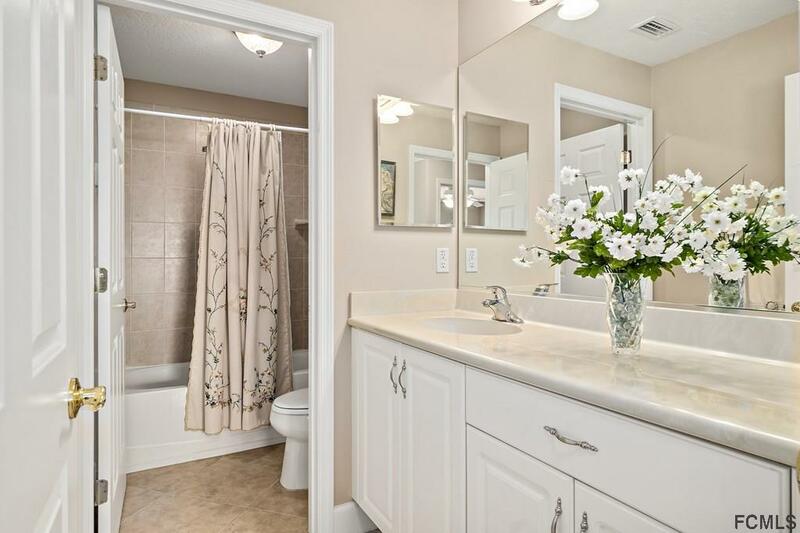 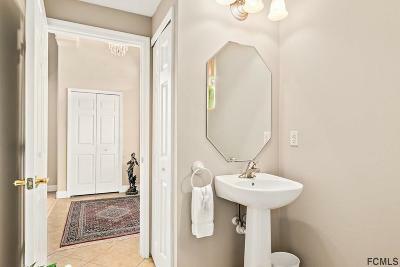 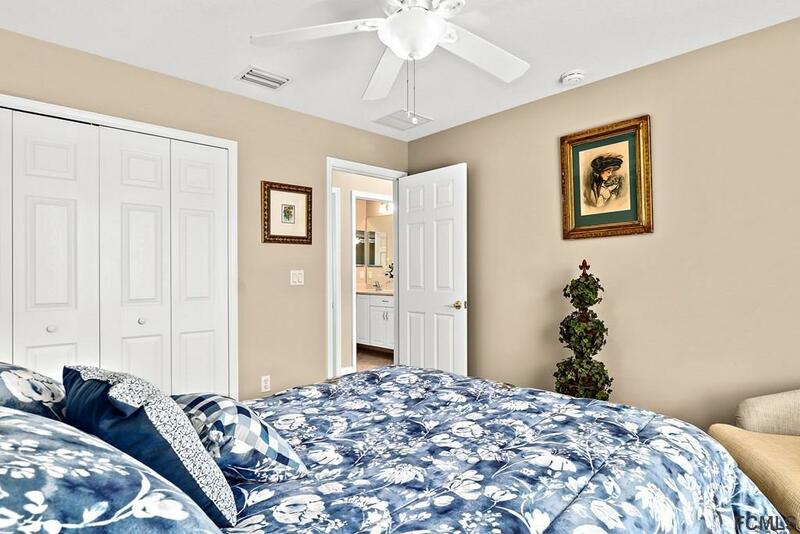 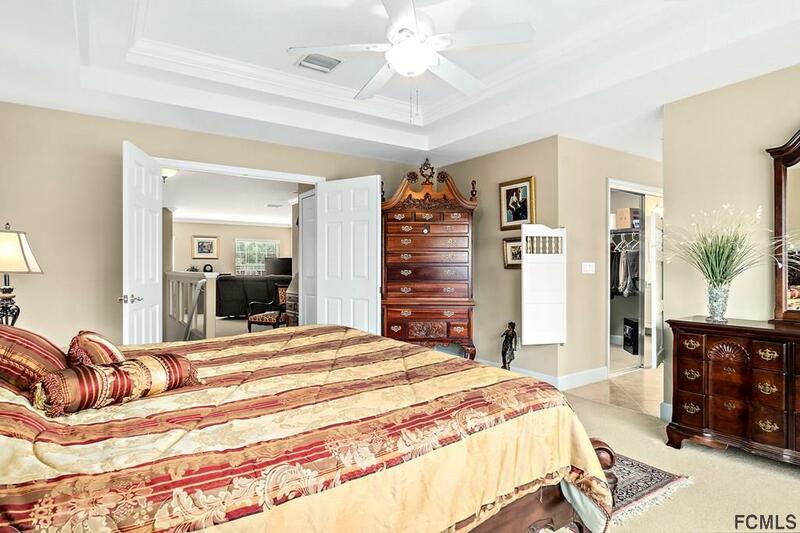 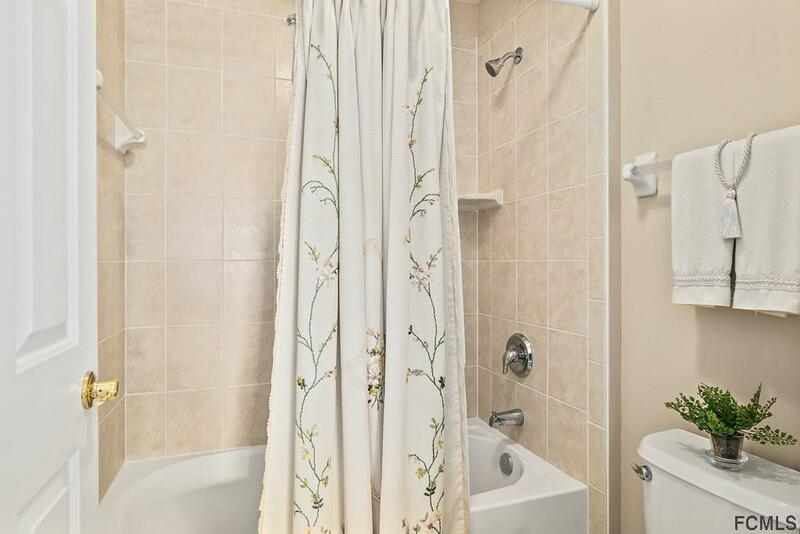 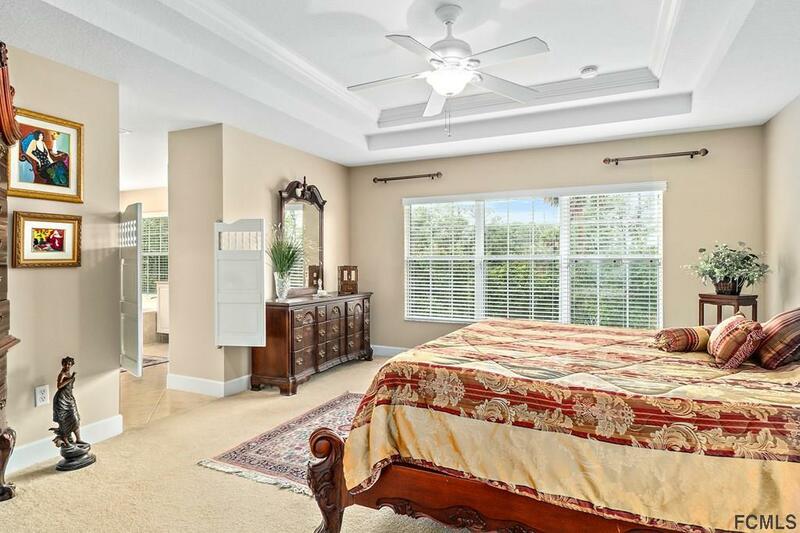 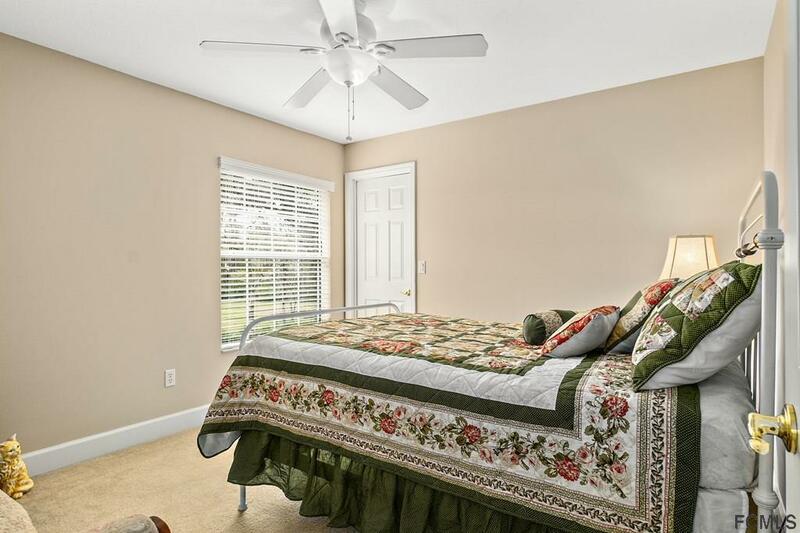 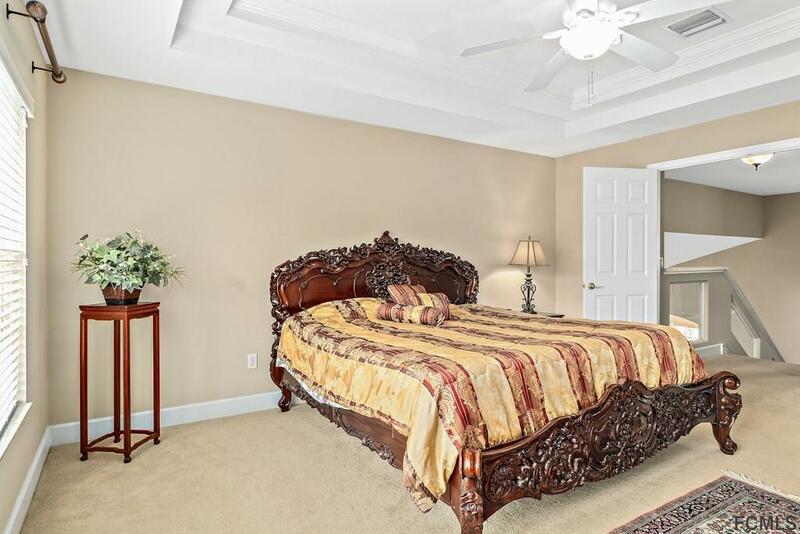 The large master suite boasts tray ceilings, dual vanity sinks, garden tub, separate shower, large walk in closet. 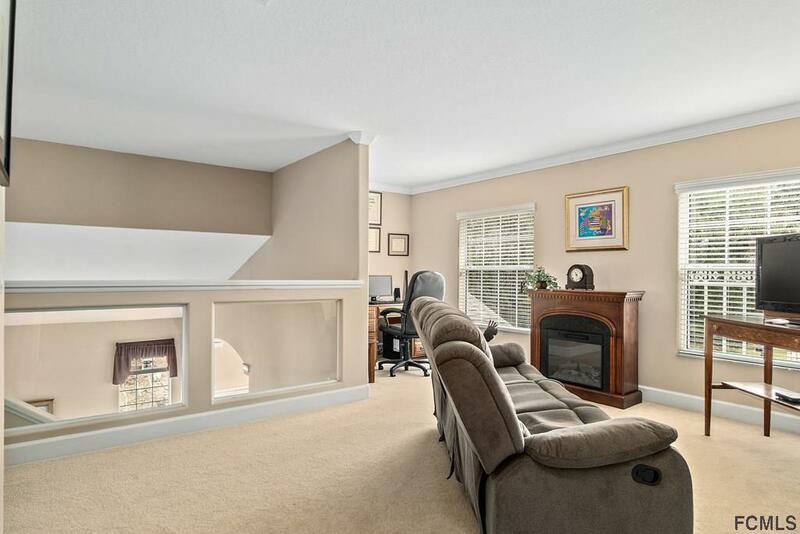 Upstairs den would be great as an office, den or exercise space with great views, sure to inspire. 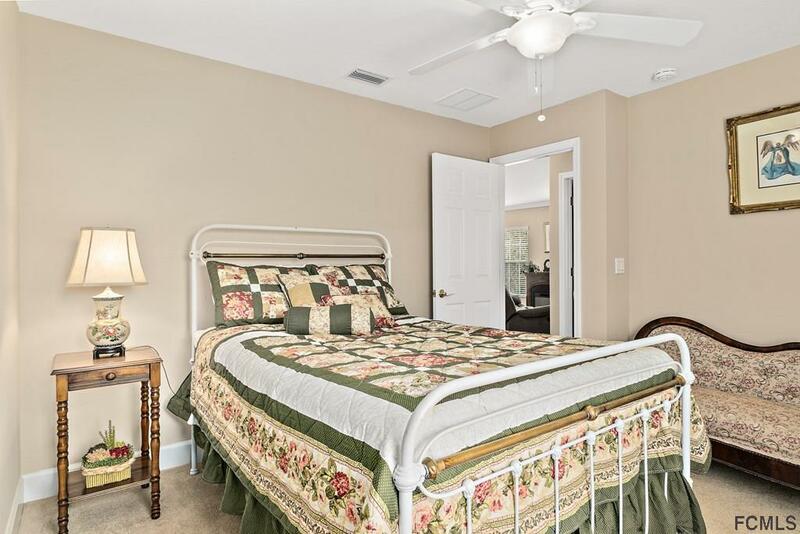 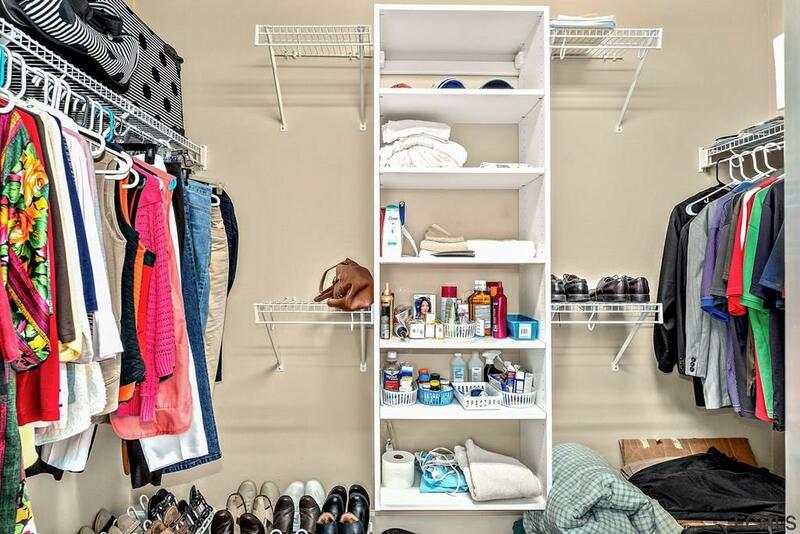 This home offers plenty of storage space and generous sized guest rooms. 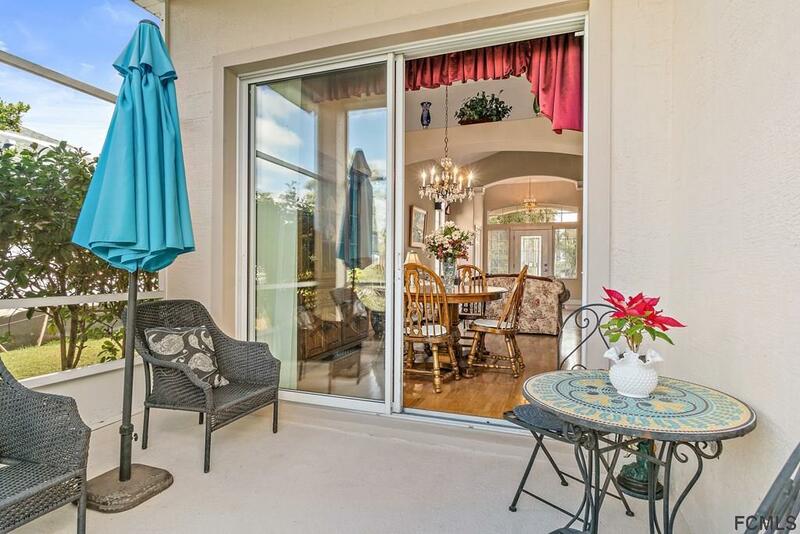 Nice screened lanai for relaxing. 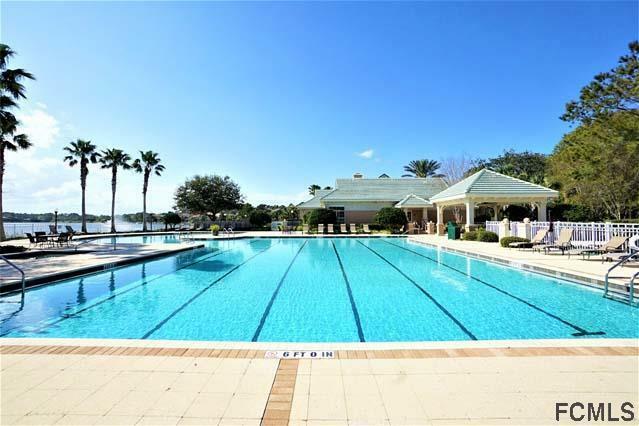 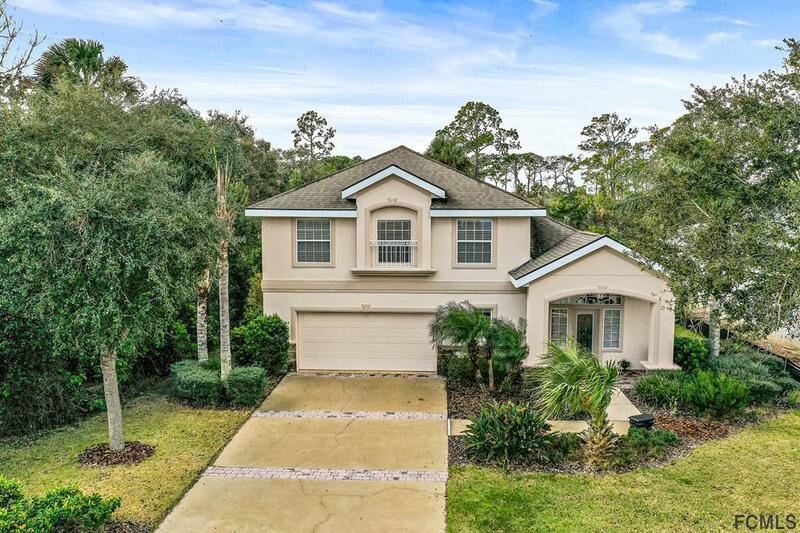 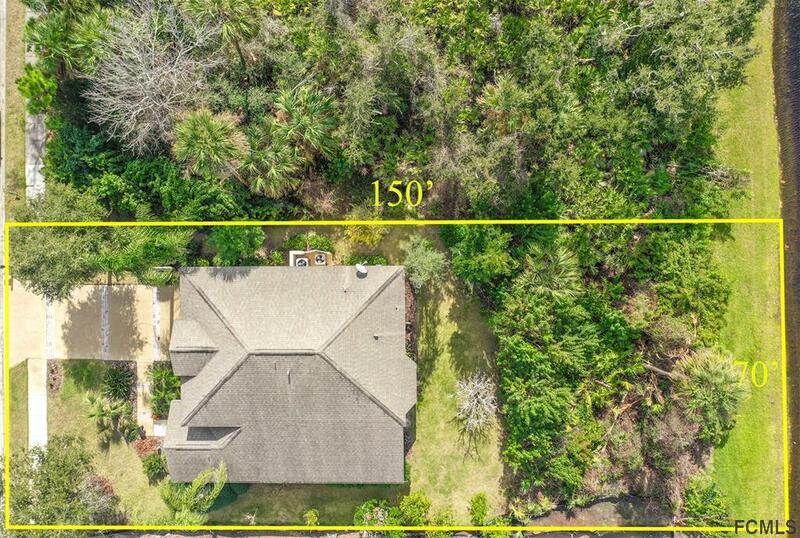 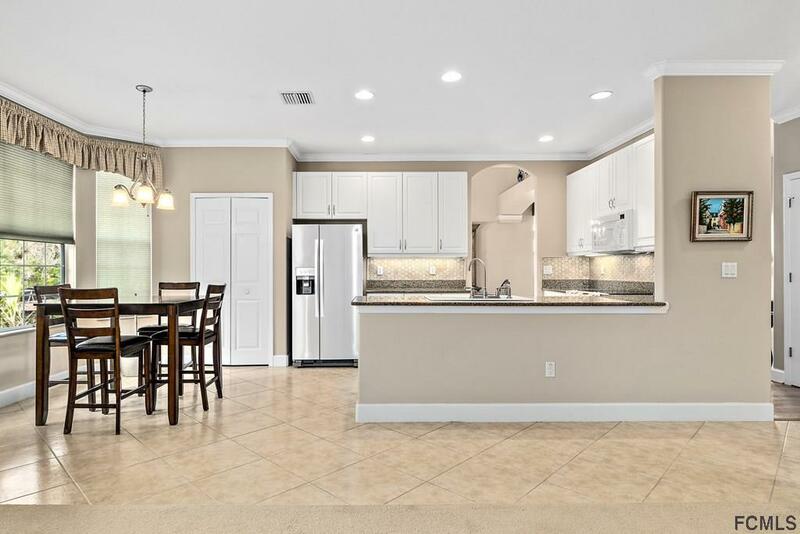 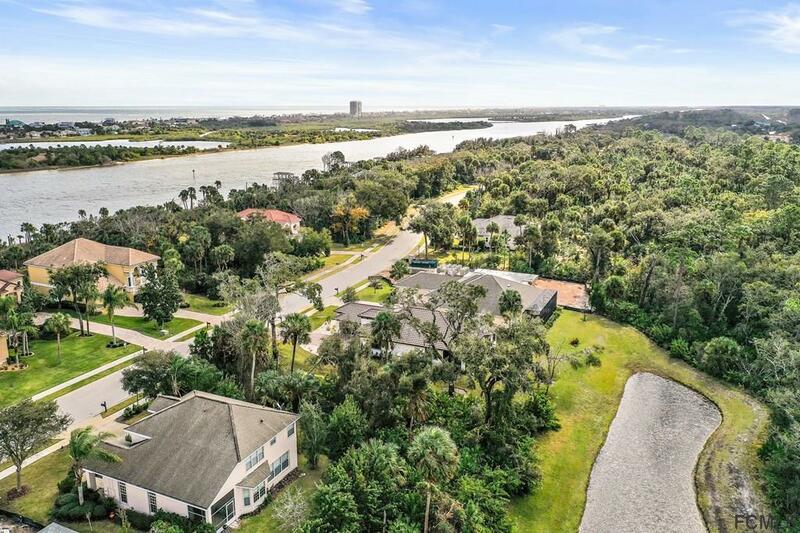 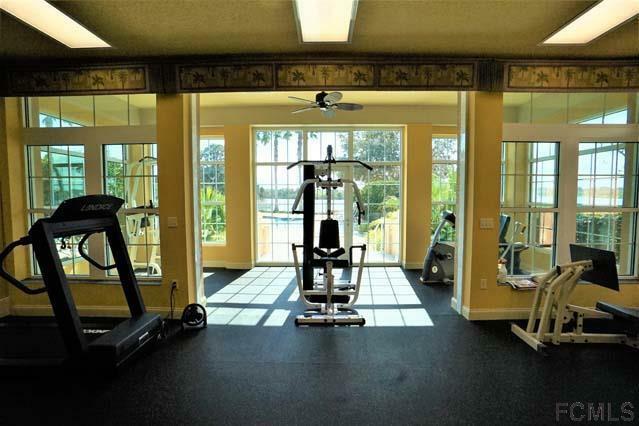 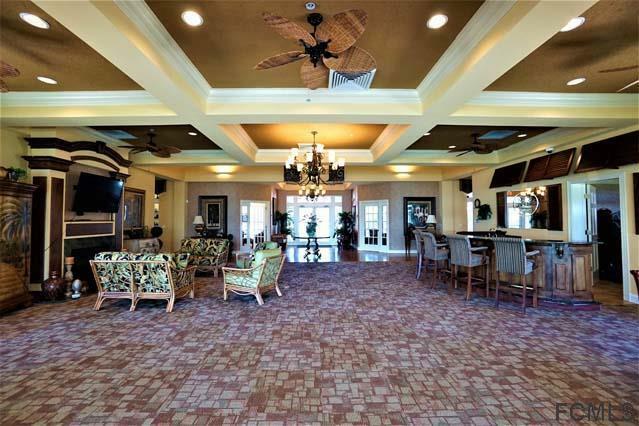 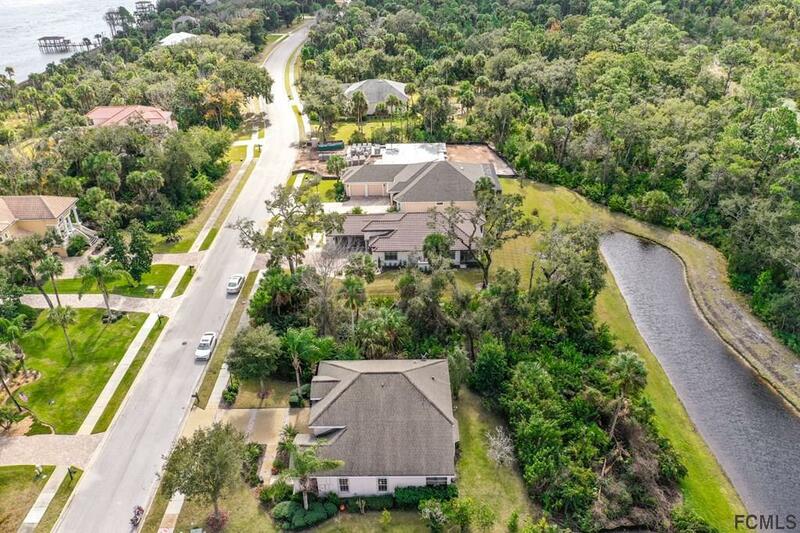 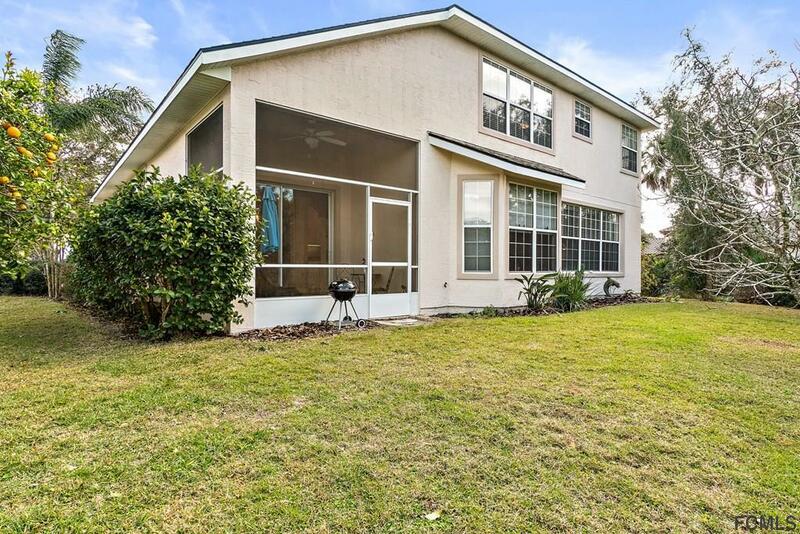 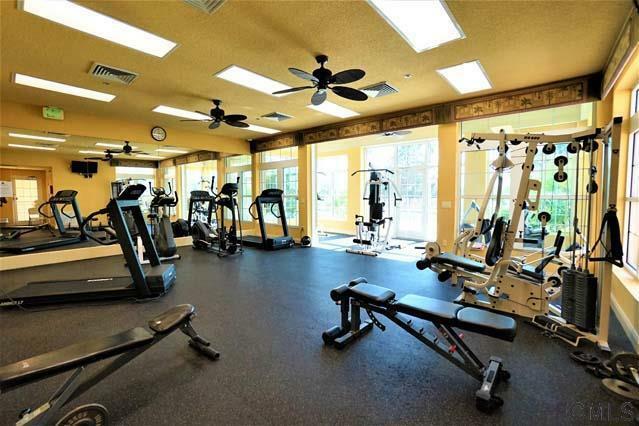 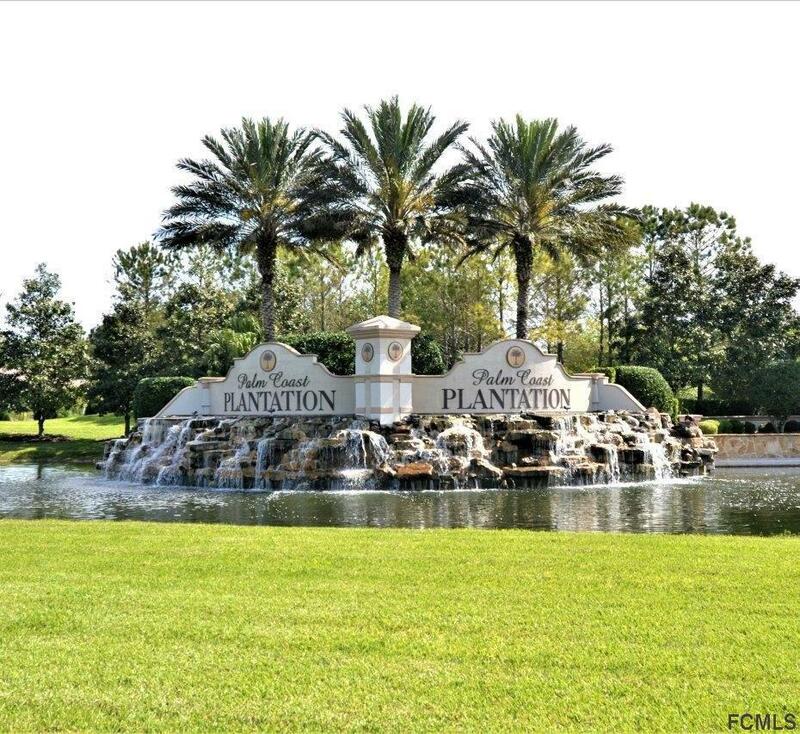 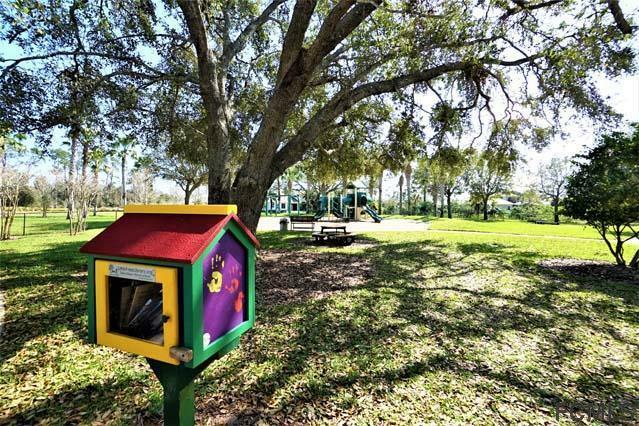 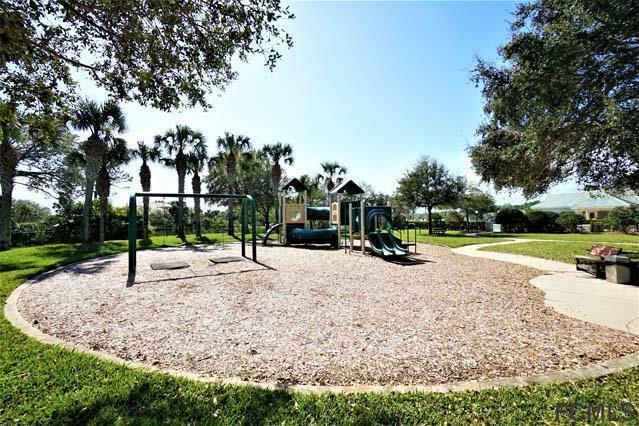 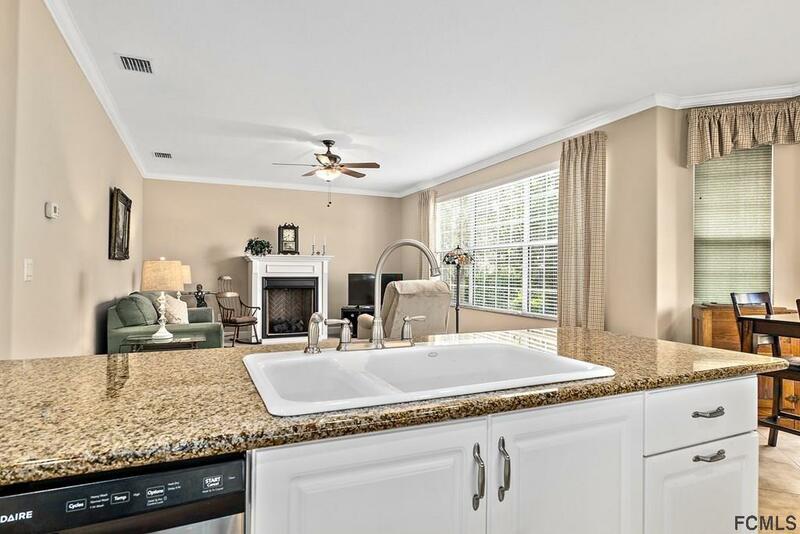 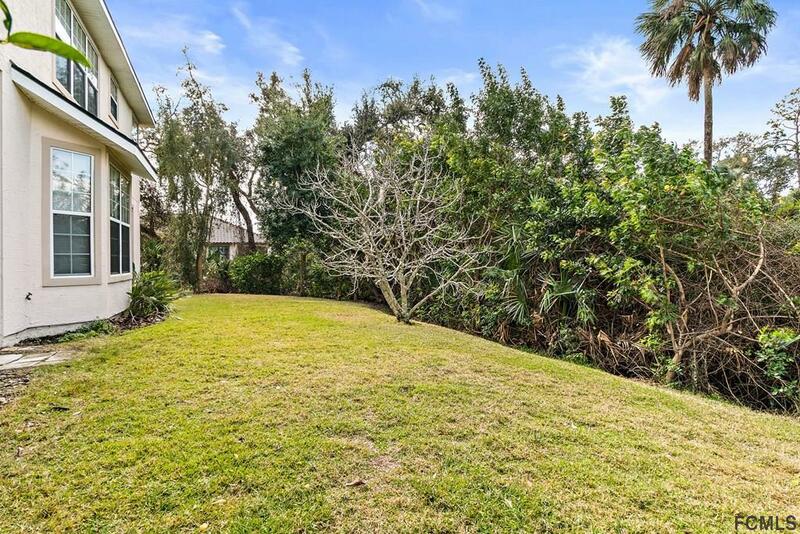 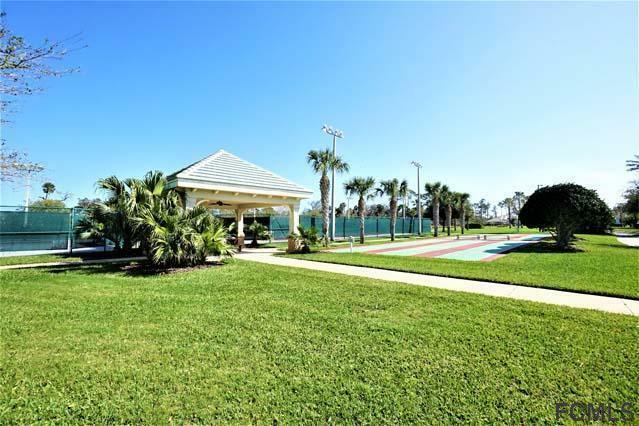 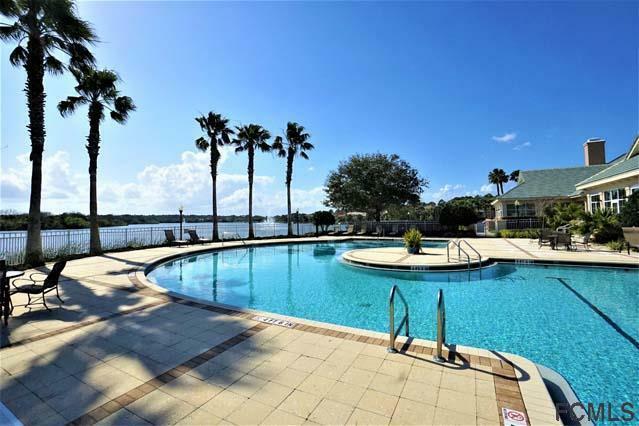 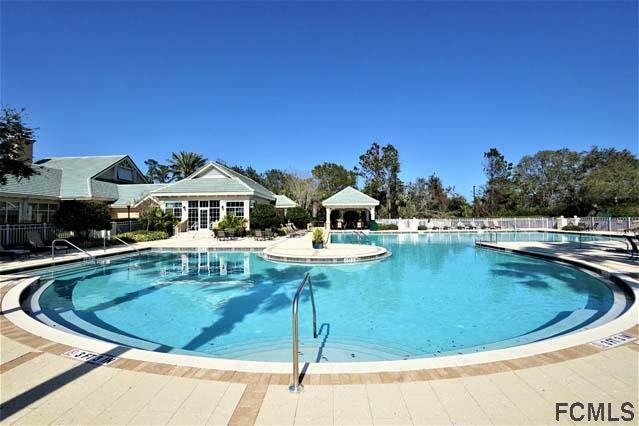 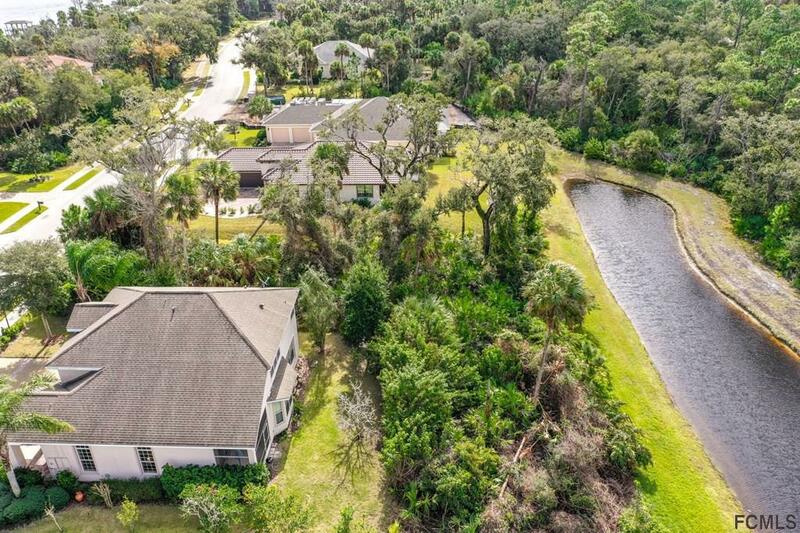 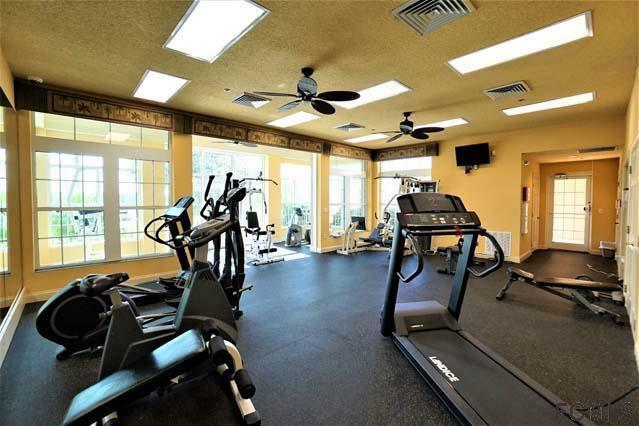 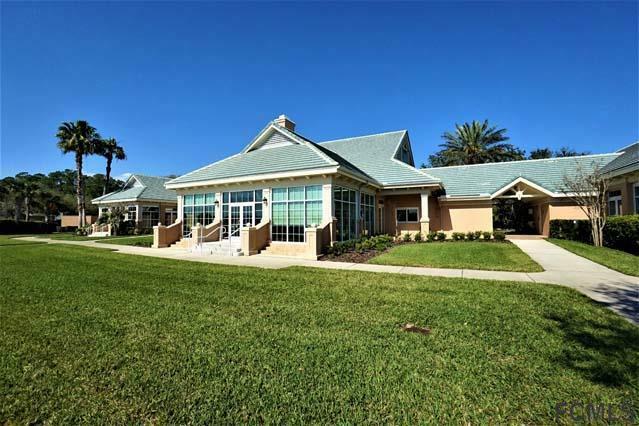 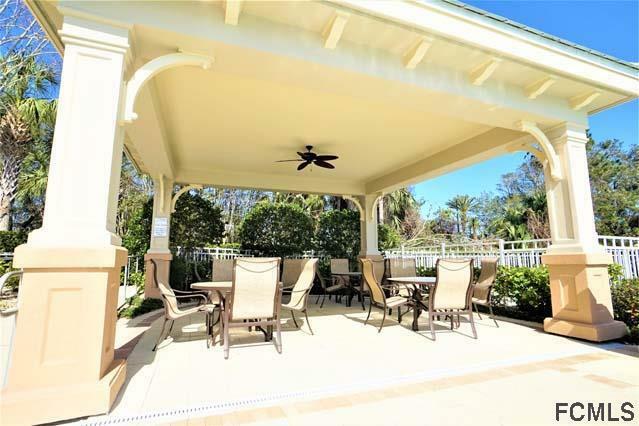 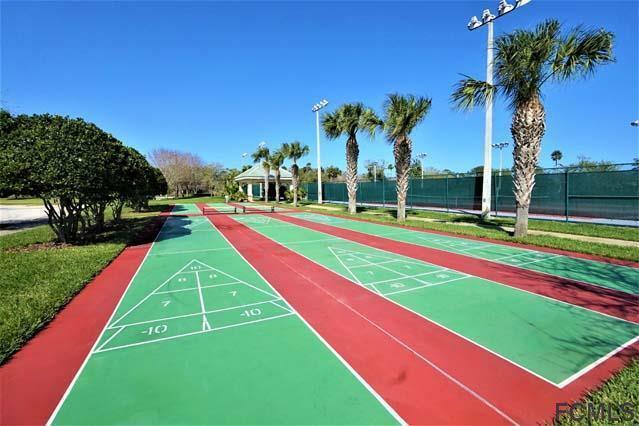 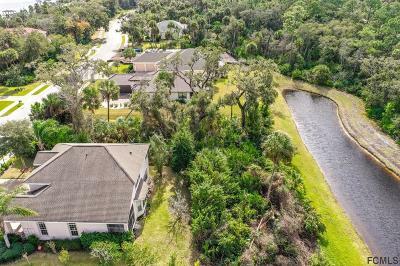 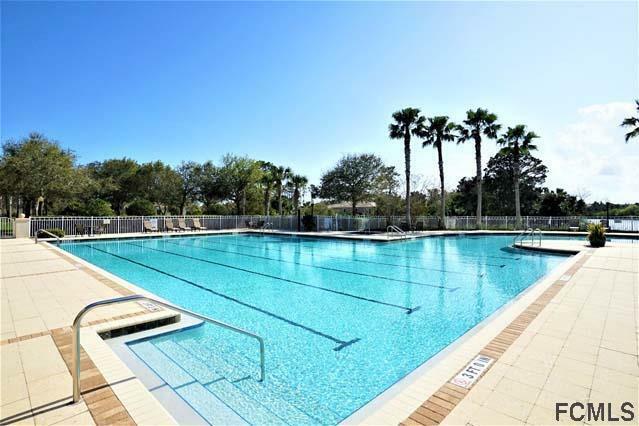 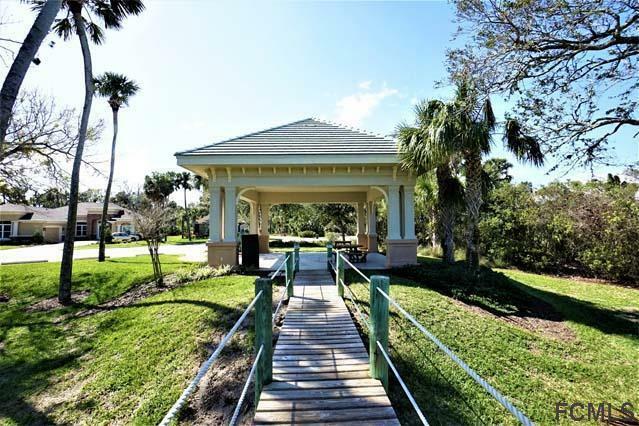 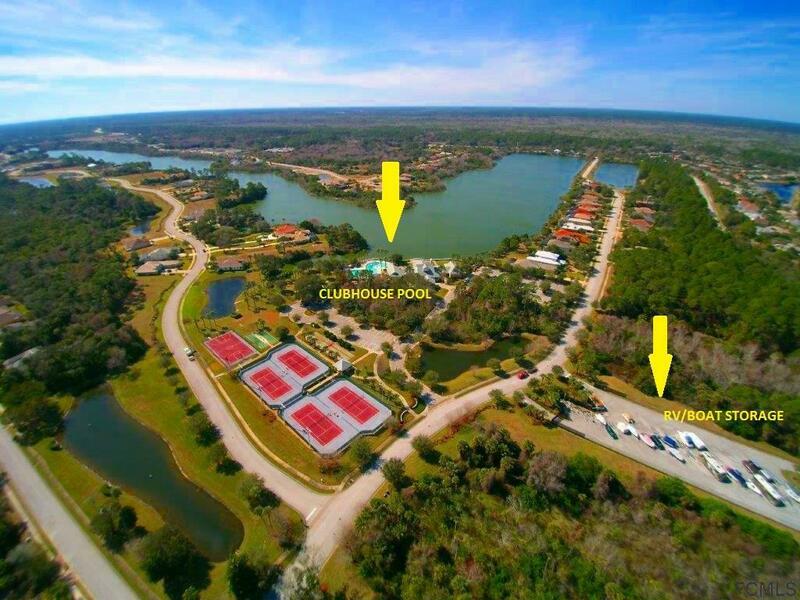 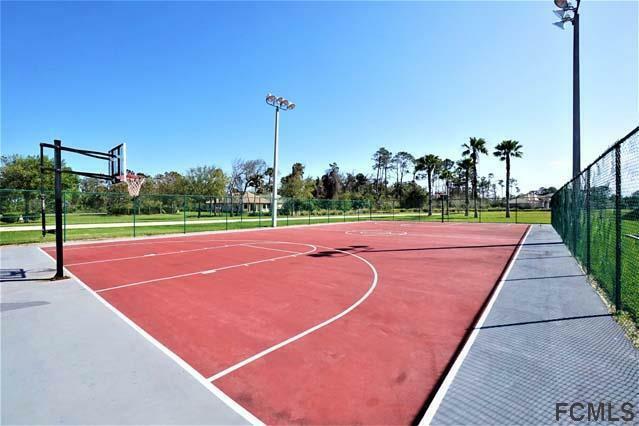 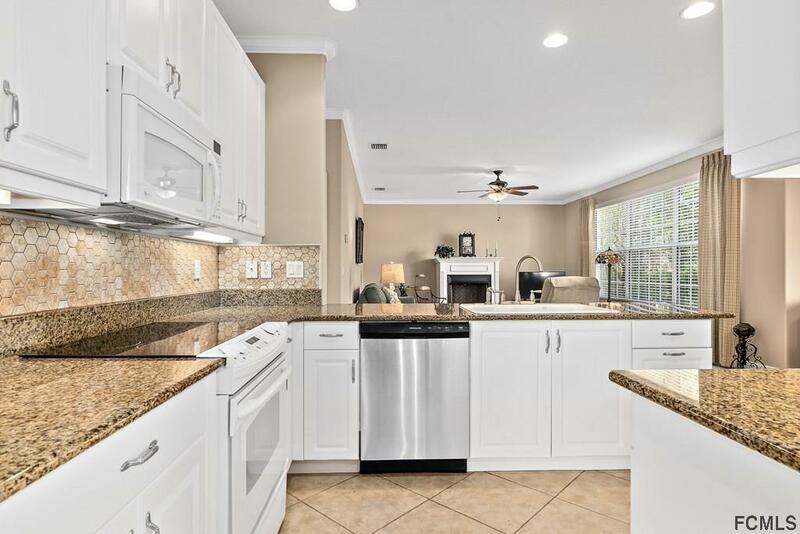 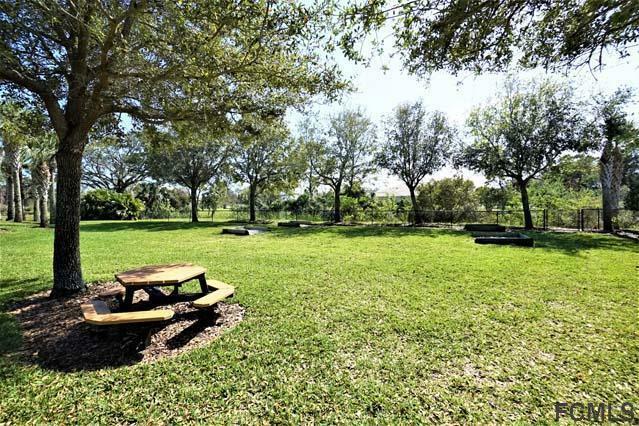 Take advantage of Florida outdoor living in this great community that offers, tennis courts, walking trails, community pool, clubhouse, exercise studio, dock, boat ramp, boat and RV storage and only minutes to the beach! 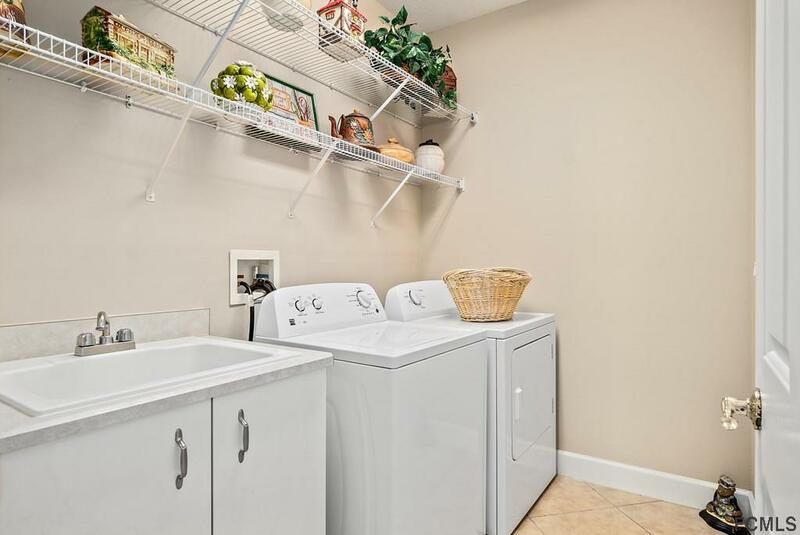 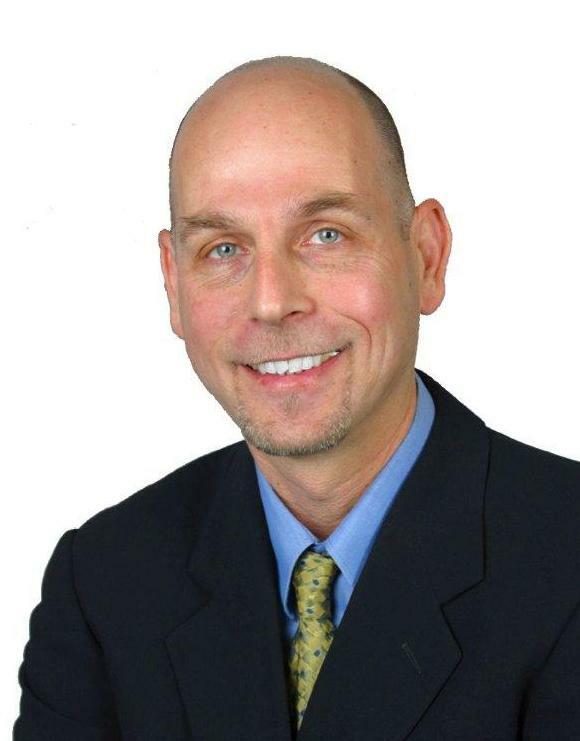 Buy now, Smile later!